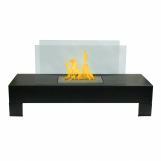 The high style and distinctive contemporary design of the Anywhere Fireplace™ line of products allows the ambiance of a fireplace to be enjoyed in any space and with certain styles designed for indoor and outdoor use. 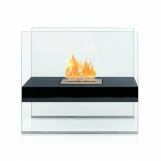 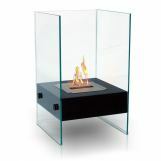 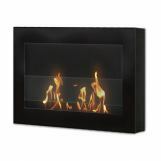 The Anywhere Fireplace™ line of products is sure to match most any décor. 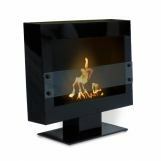 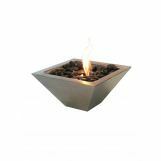 It adds a rich warm atmosphere to your bedroom, living room, den, dining room, patio, garden, deck, pool or anywhere you want. 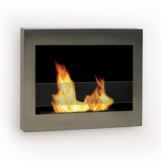 All the fireplaces are ventless, requiring no construction, chimney, or gas lines. 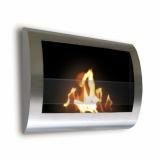 There are models that are wall mounted and others that are placed on a floor or any steady surface. 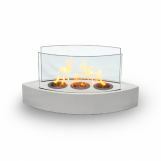 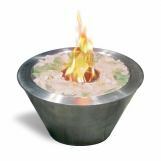 Using the appropriate liquid or gel fuel, they create beautiful real flames. 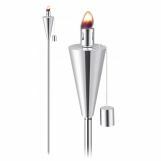 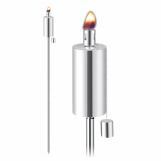 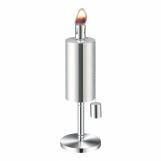 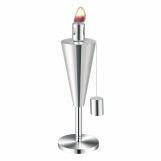 The Anywhere Garden Torches are offered in matching ground and table top models, for use outdoors with citronella oil.